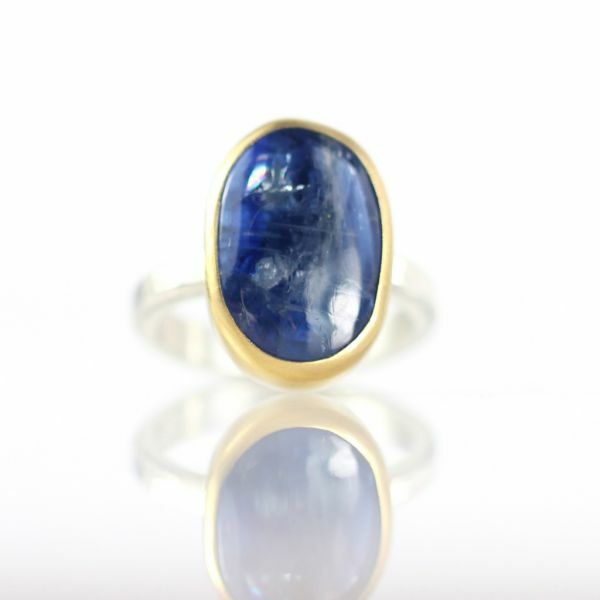 From the “Get The Blues/Otherworldly” jewelry collection: Similar but different — just the way we like it! 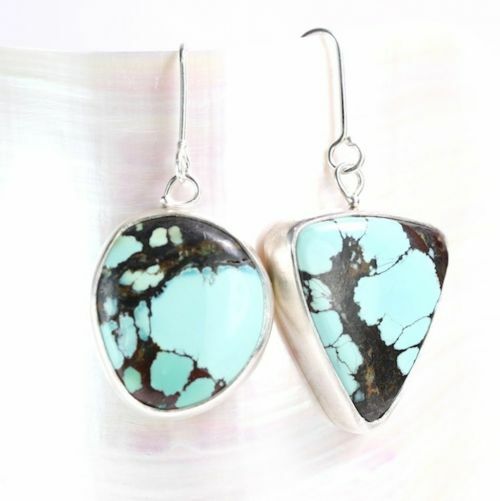 Droolworthy “Miss Matched” natural turquoise earrings with Australian boulder opal drops. 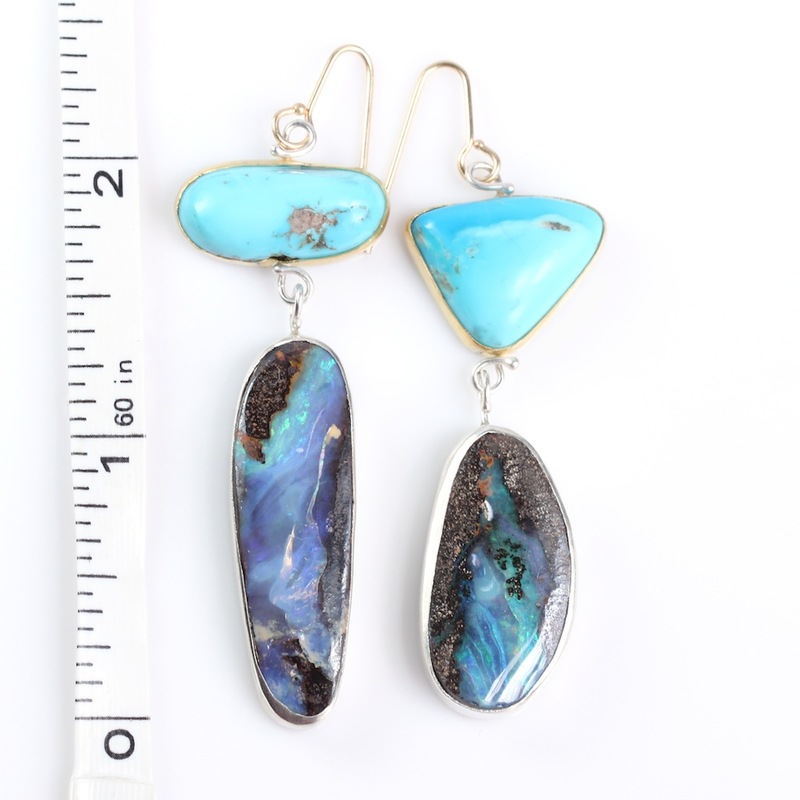 The turquoise stones are hand set in 22K gold bezels with sterling silver cut out backs, the boulder opals are hand set in fine silver with solid sterling silver backs. 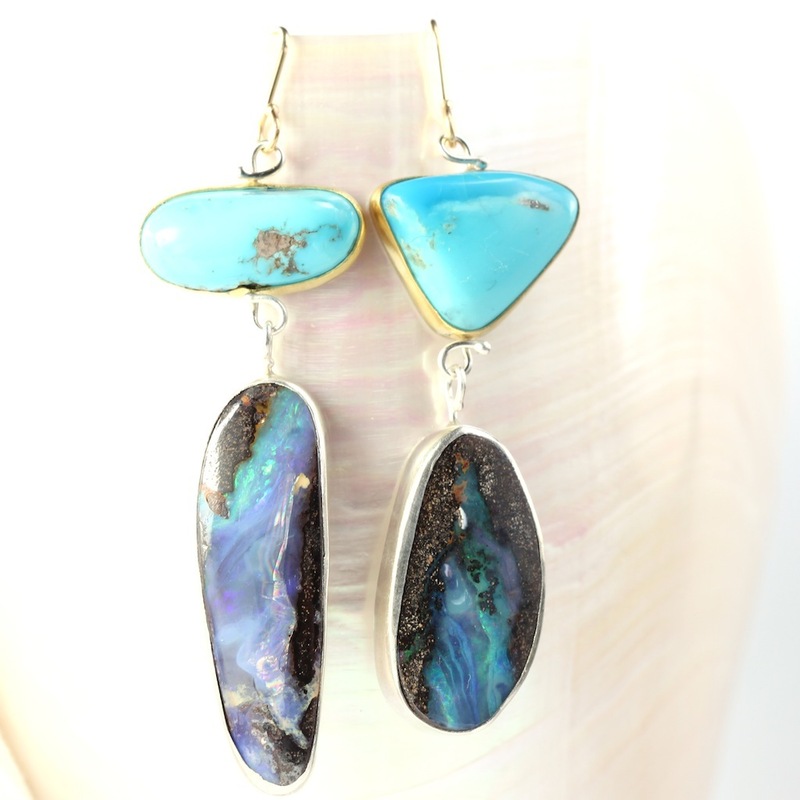 Sterling silver wirework, and handmade 18K gold earwires. 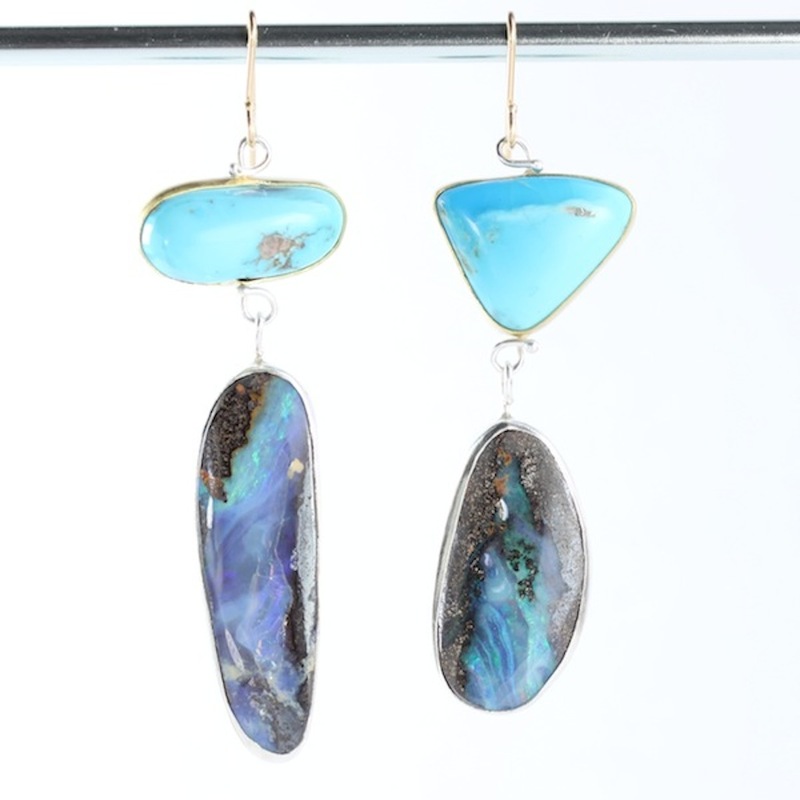 The Metaphysical Particulars: Turquoise, one of the oldest talisman gemstones, grounds the wayward spirit and brings wisdom; opals offer inspiration and enhance creativity. 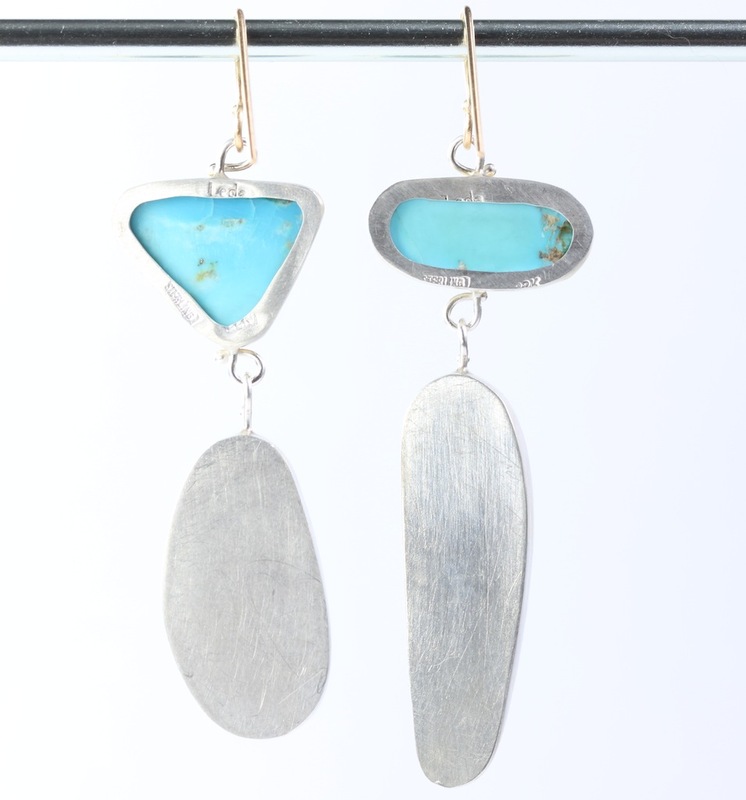 Jewelry to empower your spirit! 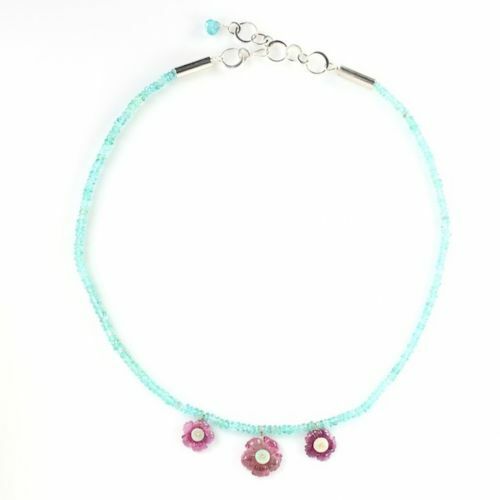 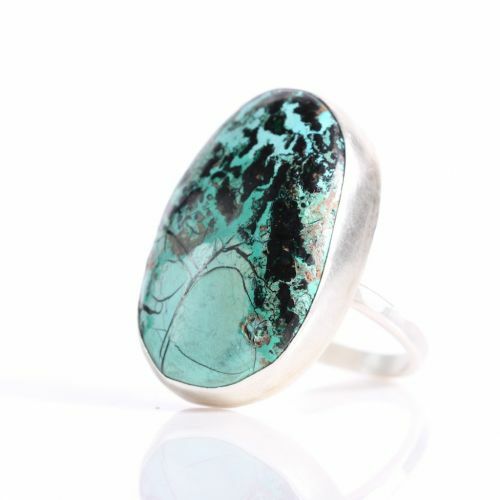 All Leda Jewel Co jewelry is created by hand with natural gemstones and recycled gold and silver.